An original member of the rap duo, Playaz Circle, 2 Chainz went solo and released his debut album "Based on a T.R.U. Story" in August 2012, scoring a #1 album. The album featured hits like "No Lie" featuring Drake, and "Birthday Song" featuring Kanye West. 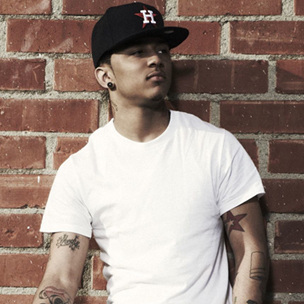 His new project for 2013 is currently untitled. Rapper/Actor Common released his 9th album "The Dreamer, The Believer" in 2011. He plans on having a busy 2013. His plan is to release an EP (mini-album) in late-January, his first ever mixtape in April, and release his 10th album in September of this year. Though Dr. Dre hasn't released an album since 1999, he made over 100 million dollars in 2012 through mostly his Beats (headphones) line. No one knows if "Detox" will come out in 2013, because they've been saying it since 2000. After his first two albums "Thank Me Later" and "Take Care" brought much success to him, by selling over a million copies each and combining to have 7 platinum records (a million copies each). Drake's untitled third album will be tough to compare to his other 2. 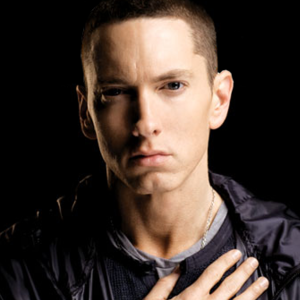 After what was probably the most popular album of 2010, Eminem's "Recovery" will be followed by a now untitled album in 2013. Eminem has stated he is already working on it. Eminem is also working on a full album with Royce da 5'9" under "Bad Meets Evil". With a lineup headlined with Kanye West, Big Sean, John Legend, Kid Cudi, Pusha T, 2 Chainz, CyHi da Prynce, amond others, the supergroup/record label G.O.O.D. Music will try and top their last album "Cruel Summer" which held top 20 hits like "Mercy" & "Clique". After his debut album "Cole World: The Sideline Story" hit #1 on the U.S. album charts, J. Cole plans to release his follow-up "Born Sinner" sometime in 2013. The debut single "Miss America" was released in November 2012 and peaked at #120 in the U.S.
After the first Watch the Throne sold over 400,000 copies in the first week, the sequel to it is scheduled to release in 2013. In addition, each member of the duo (Kanye West & Jay-Z) plan to release their own solo album in 2013. Veteran rapper Ludacris plans to release his 8th album "Ludaversal" this year. The album is headlined by three singles; "Jingalin", "Representin" which features singer Kelly Rowland, and "Rest of My Life" which features singer Usher and DJ David Guetta. When his debut album "Blue Slide Park" went to #1 and sold 145,000 copies in the first week, Mac Miller plans to release his 2nd studio album "Watching Movies with the Sound Off" and an EP entitled "Purple Slime". Pop rapper Nicki Minaj has released 2 albums, both going to #1, and six Top 20 hits, "Pink Friday: The Pink Pinkprint" will be her 3rd LP, and the 3rd album in the "Pink Friday" series. She plans to do this while being a judge on American Idol. After "God Forgives, I Don't" became Ross' 4th #1 album, and being named #1 to the "Hottest MC's in the Game" list, Rick Ross is on top of the rap game. On January 7th, 2013, he revealed that his 6th album will be titled, "Mastermind". Controversial rapper Tyler, the Creator is looking to release his follow up album to the album that won him a VMA for Best New Artist and the song "Yonkers" His 3rd album is titled "Wolf". Tyler also plans to continue to work with the rap group he leads, "OFWGKTA" or simply "Odd Future".